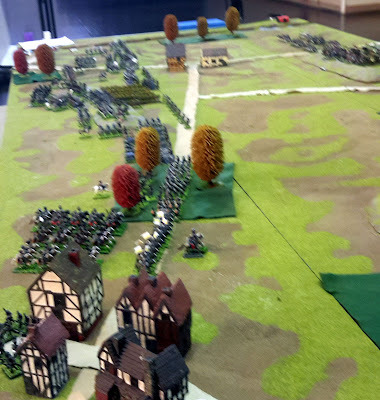 This is another game from our 1807 campaign. The game was good everyone had a great day. This battle was fought by us in May 2007. At that time we were still located at Lindfield. The Russians, the French favourite Russian troops, the Cossacks. Cavalry actions on the far French left. The Russian players. The closest person is Don (our longest serving member), then Paul C and then Don's son John (lives in Chile, comes for the December & January games). This was at the Lindfield Hall. I like posting game pics from the club. Come back any time. I do update posts as well as adding.